PBS has shown this preview already, but it’s worth seeing a second — or an umpteenth time before the series it previews airs in September. 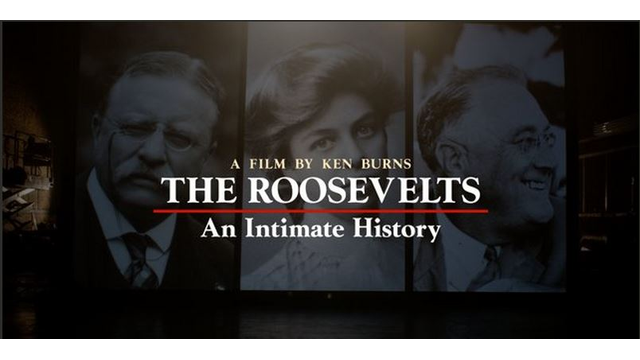 “The Roosevelts” preview airs Friday at 9:30 p.m. on Panhandle PBS and it sets the table for another groundbreaking Ken Burns documentary on one this country’s most important political families. You know the Roosevelt name. The subjects of the multi-part series to be broadcast this fall are Theodore Roosevelt, Eleanor Roosevelt and Franklin Delano Roosevelt. They’re all kin, and that includes FDR and Eleanor, husband and wife. Teddy Roosevelt is the Spanish-American War hero who went on to become the youngest man ever to assume the presidency in 1901 upon the assassination of President William McKinley; yes, John F. Kennedy was the youngest man ever elected president, but TR had him beat by nearly a year when he took office at the age of 42. Eleanor and Franklin Roosevelt were distant cousins to TR — and to each other. They formed perhaps the prototypical 20th-century White House spousal partnership. Ronald and Nancy Reagan, Bill and Hillary Clinton, Jimmy and Rosalynn Carter? All they had to do was study how first lady Eleanor was by her husband’s side every step of the way. Eleanor was one of her husband’s closest advisers and confidantes. FDR, of course, helped lead the nation out of its Great Depression and then led America to victory on the greatest conflict known to humanity, World War II. The three of them were titans in their respective rights. The 30-minute preview behind-the-scenes material and interviews with key subjects with extensive knowledge of this remarkable political family. It’s going to set the stage for a blockbuster series by Ken Burns, arguably the nation’s great documentary filmmaker. Just where is Jimmy Hoffa?